"This version of surf n turf is killer. 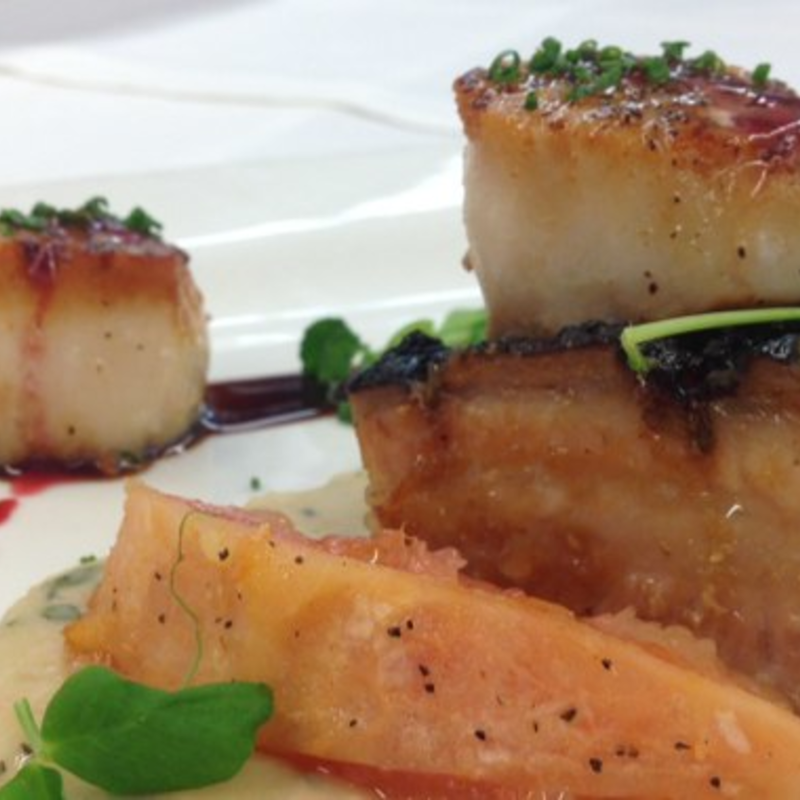 Crispy Pork Belly & Seared Scallops , Tarbais bean puree, Pickled Grapefruit Segment and Wild Berry Gastrique. A must eat!"